We welcome you to check out our dealership's service specials to obtain additional savings when bringing your car in for general maintenance or repairs. 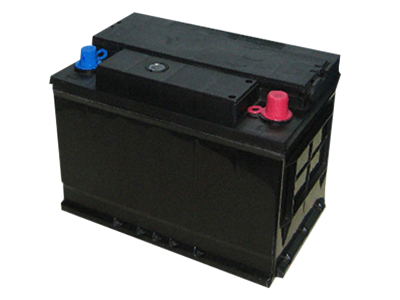 There are many benefits of getting a battery service for your car, which includes allowing the vehicle to operate correctly without becoming stranded on the road once the battery dies. Getting battery service before it fails will avoid issues or complications with how the car functions on a daily basis. 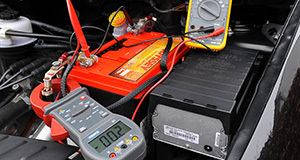 A professional will clean all of the battery connections and remove any corrosion that is present to improve the performance of the vehicle each time that it's used. Scheduling battery service with a professional technician can also protect yourself from coming in contact with acidic electrolytes, which can burn your clothing or skin. The professional will also dispose of the battery properly, which can offer convenience to the driver. At our dealership, we stand behind the quality of our work and use certified professionals on our team who regularly perform battery service. 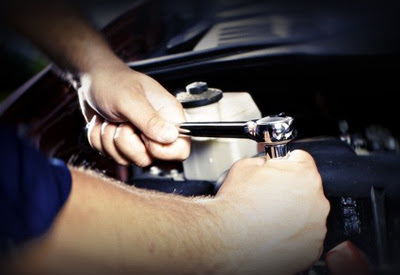 Our technicians have a high level of experience in the industry and are qualified to perform a variety of different services to improve the operation of the car. Our professionals are also skilled and experienced in working on different types of makes and models to ensure that we can accommodate the customers that use our services. At Jaguar North Houston, we not only perform quality service but also use original equipment manufacturer (OEM) parts to ensure that potential problems are avoided and that the repairs or maintenance that is performed lasts longer. Many different auto shops use aftermarket parts on the vehicles they repair to save money, but the parts are lower quality and can cause complications or issues over time. They can also wear down faster, which can require repairs sooner rather than later. Although OEM parts may cost more, it'll be worth the investment because they're more durable and won't deteriorate as quickly compared to aftermarket parts. Technical issues are avoided with OEM parts because the parts are designed to fit correctly on the car and are recognized by the software that is used. You won't have to worry about issues that occur with the computer in the car and can have peace of mind knowing that it will continue to operate correctly. OEM parts are also known to be easier to install, which can allow you to save time when taking the car in when a professional technician performs the maintenance or repairs. Many drivers also enjoy that their warranty covers the OEM parts because the manufacturer recognizes them. If you install aftermarket parts, they may not be covered by the warranty, which can lead to expensive repairs that you'll have to pay for and can cause you to spend more to maintain the vehicle over time.